Super M with a 450 engine. How'd that get in there? 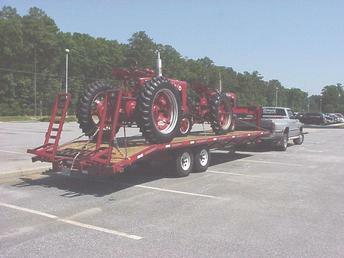 51 Super C. Pulling rig is a 99 Dodge quad diesel 4x4 and trailer is 28 foot GPI Line gooseneck.